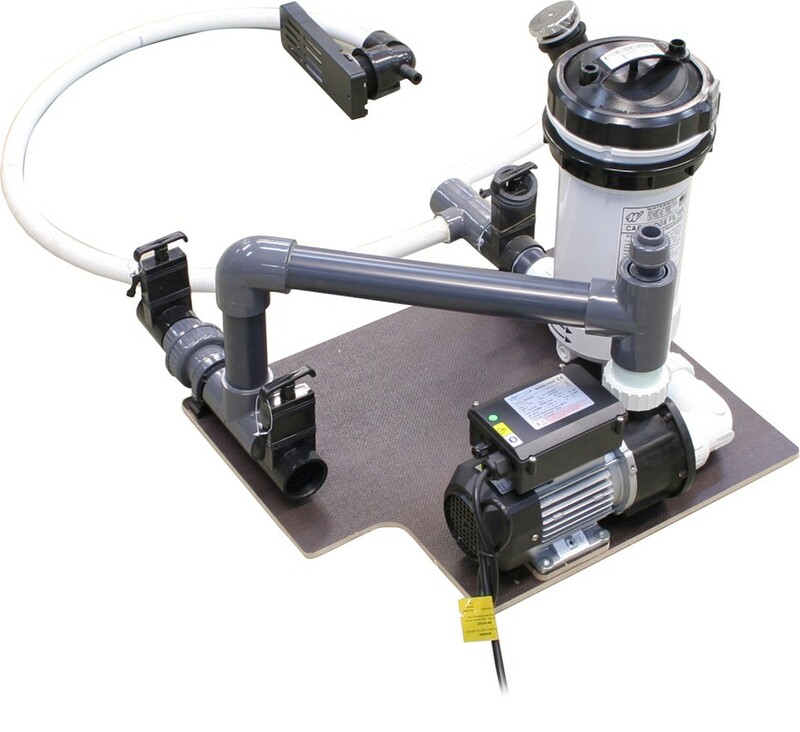 Complete filtration system including pump, filter holder and filter, skimmer, hose and connections. It is also possible to connect an additional electrical heater (191SDH30) to the system. In addition, there is also a specially designed control system for electrical connections. *WARNING! When filtration is used, water and cold is not a good combination. As long as the circulation is switched on the risk of freezing is reduced but even a short power cut could cause serious freezing and possible damage to the equipment. We therefore recommend to insulate effectively in order to avoid such problems. The thermostatically controlled 3 kW electric heater is..